Yes, you read that right. 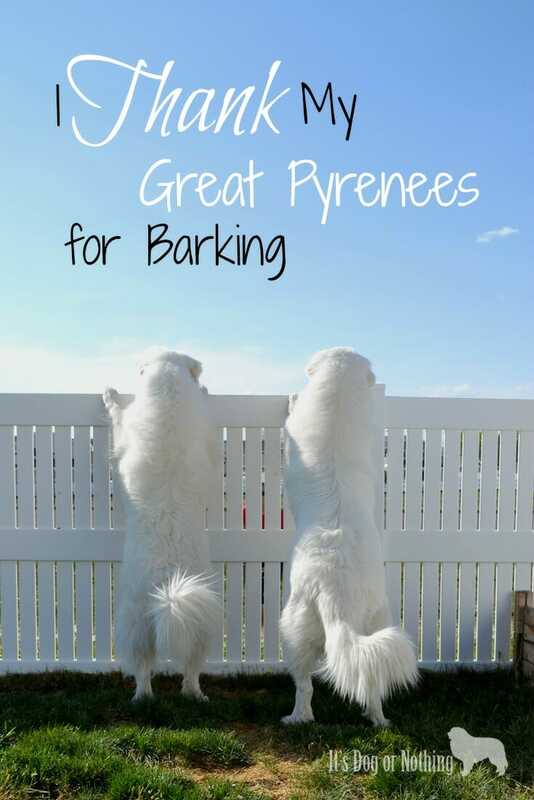 I thank my Great Pyrenees for barking. When Mauja first came home with us three years ago (has it really been that long? ), I knew that Great Pyrenees barked a lot. No, a ton. They bark a ton. I started to research ways to manage her inevitable barking. Bringing her inside, telling her it’s okay, teaching ‘quiet’, and various types of bark collars were all suggestions. I don’t believe in any kind of bark or correctional collar, so that was out. I taught her ‘quiet’. I tried telling her, “It’s okay, it’s just Uncle John”. I tried bringing her inside. The last option was the most successful, but I hated bringing her inside. I didn’t want to keep her cooped up when she obviously wanted to be outside. With Atka finding his voice more recently and Miss Barky Pants Mauja, I decided it was time to try a different tactic. I decided to start thanking Mauja and Atka for barking. With any dog, it’s important to find a way to work with their instincts. Great Pyrenees are guard dogs so I wasn’t going to try and stop their barking. That would be an endless battle that would leave everyone frustrated. Why not thank them for doing their job? Barking, afterall, is a part of their guard dog duties. We have a 30 second bark rule in our house. If Mauja and Atka have been barking for more than 30 seconds, someone goes outside to quiet them. We don’t want to be *that* neighbor. For the past several months, we have been trying the “thanking” technique. When Mauja and Atka bark past their 30 second limit, I go outside with them. I look around to try and figure out what they’re barking at. Sometimes it’s obvious (a biker, dog, etc), while sometimes I truly have no idea what they hear or see (probably a sketchy-looking fly). In the cheeriest voice I can muster I say, “Thank you! You’re good puppies. Good girl, Mauja. Good boy, Atka. Thank you for letting me know! It’s okay now.” I continue to thoroughly praise them for as long as I feel it’s necessary. Not only does this end the barking, but they both happily prance toward me with their tails wagging. They both come up to me and lean in for some pets and love. Many times I have treats for them as well. I continue to thank them and then go back inside. While no technique will ever be perfect for a Great Pyrenees, I have had great success with this one. I’m able to end their barking more quickly and overall they are barking less frequently. I’m not exactly sure why they are barking less frequently, but I’m guessing they are realizing I am taking their warnings seriously. I’m always telling my weight loss clients, “Use your brain for you, not against you.” I believe the same thing is applicable to dogs. Use their instincts for you, not against you. Do you have an unconvential way you handle a behavior problem or other issue? thank YOU!!! i converse with a lot of catahoula dog owners and they want shock collars and quick fixes to stop dog barking but i do this very thing here with great success. My female is not a talker – if she is barking there is something out there she deems a credible threat. i walk out and look out the window with her, often on my knees mocking her 😉 When i see what has her attention, i handle it – it might be a UPS guy coming up to the door. Or it’s just someone passing too close to the house – but when i THANK HER and tell her she’s a good girl, that’s it. she’s done. My boy is a little more neurotic and when he sees what he deems a credible threat (a leaf fell on the sidewalk!) he runs around the house crying until he finds me and insists i follow him to see the leaf. But even with his “extreme” reactions, a thank you and couple scratches work well enough. My situation is a little more serious I have a fully glassed-in Florida room and Bear hates UPS trucks, FedEx trucks and school buses but the thing that he hates the most of all is the mailman. There are mailman out in the country drives a normal car. He broke leash and was literally trying to bite through the window to get him I honestly believe he got hold of him he would kill him. There is a huge five-year-old rescue he has never attacked me but when I’m not feeling well he has gotten my husband three times. when the aforesaid trucks and buses come by I am terrified that he is going to hurt himself because he jumps up on the window and literally tries to break it out biting on it and scratching. I am at a loss I have always had newfoundland’s which is a totally different temperament. This dog is dangerous do you have any corrective suggestions for that? He’s been to obedience school twice. We do this, too! N.A.S.H.A. is a mixed terrier, also well-known for barking a ton. Though she doesn’t always quiet immediately, I find that thanking her is the fastest remedy. Great post! Mauja doesn’t always either – especially when she gets really worked up. However, like you said, it’s the fastest remedy! So far, Cherokee is not much of a barker. Though, I can tell he LOVES to bark at things when he hears or sees things he deems worthy of putting out the energy it takes to raise up a bit on his hind legs and give out a series of warning barks. Fun to watch! We have a rule of no more than a minute of barking unless its a outdoor game of tetherball or there is someone trying to break in the house. Thank goodness no one has been dumb enough to try to break in the house . I do this all the time with our boys Loki and Thor (just turned 6 months). Loki feels the need to alert us to every passing butterfly or rustling leaf, while Thor waits until there’s a serious danger, like kids walking up the street. I always tell them, “I see it, I know, we’re okay, thank you.” It actually does quiet them quicker. This is a great idea, I’m going to see if it works for Boomer and Dottie! I do that too. Mr. N gets one or two barks and then he has to shush. We do the same thing! If the barking doesn’t stop, then I ask them to go to their beds. As soon as they are quiet they get cookies. Why they bark? I discovered one this weekend. I like this approach 🙂 Shiner seems to bark less now that she is more hard of hearing, but she used to be a big barker. It was always noise associated, for the most part. I’m sure Mauja and Atka’s is *mostly* noise related, but they can certainly hear things that I can’t! When i first got Misty she was an only dog and quite social. When someone came to the door or yard she rushed silently to greet them. Dogs should bark when someone is around which is why I soon got a second dog. It took a third dog to get the noise I was going for. I’m going to have to try this approach. My Delia and Chewy like to bark at the horses who live on the farm across the road from u.
Kelsie, I love this article. I guess without realizing it, we are doing it, but for different reasons. Our boys do NOT bark much. In fact they really only ever bark at night outside for potty breaks, and I truly believe it is because they are afraid of the dark or hearing some critters creeping beyond the fence. Whenever they bark inside the house, I always encourage and praise them because it makes me feel safe and even though it is not golden nature to be guard dogs (nor would I want it to be), I do want them to know that it is not ok for someone to come look in our windows. There are worse problems to have, goldies just love everyone and have trouble not seeing every stranger as a friend they havent met. Thanks for sharing, it sounds like your positive and breed appropriate method is working! I’ve often wondered what it would be like to have a dog that doesn’t bark much 😉 Our first dog was a husky mix, so he was a bit of a yodeler, haha. It’s just so interesting learning more about breed traits. Goldens aren’t guard dogs, pyrs are guard dogs but they can switch from cuddly bear to guard dog in a second, and other breeds like to stay in the guard mode mostly. sounds great, but with our 4 year old, and very large (4 acres) would this work? that is, is he too old to learn? Well wasn’t this a fascinating article to run across! I have two dogs myself, a Bernese Mountain Dog and a husky mix (named Atka! ), and over the years we have had our fair share of barking issues — mostly from the Bernese. About 3 years ago we started thanking them for barking, right around the time we were living high up in bear country. We found that it worked and have translated the “command” over to our everyday life — it’s refreshing to see someone else using the same technique, I’m glad to know I’m not alone! This is a technique straight out of Jan Fennell’s method of Amichien Bonding, a method she developed over 25 years ago. Give credit where credit is due! Her complete, simple, kind, and positive method is laid out in her book, “The Dog Listener”, her book that was published about 12 years ago, has never gone out of print, and is actually published in more countries and languages than any other dog behavior/training book out there. Her method is comprised of four essential areas that are most important to canines, and the method isn’t a collection of techniques to be taken apart and used individually. Trainers around the world have been taking from her method for a long time now. Why? Because it works! The wind blows, my beloved pyr barks! My pyr dearly loves to bark 24/7! So I got a large comfy chair from the thrift store and put it in front of the window. Pull the blinds ALL the way up! He can sit for hours in the chair and bark to his heart’s content! He can stand in the chair, spin in circles when he gets overly excited, jump down ran around the coffee table and jump back into his chair! It has this HUGE cushion that has molded to his body and Obadiah takes long naps there! When I am no longer drowning in cancer medical debt I will get a second one! Although I don’t quite have a Pyr, I have Italian model, the Maremma Sheepdog which is essentially the same thing with the barking. Knowing I had to outsmart him from the start, I used this technique from the beginning. He’s now ten and only occassionally gives the “woof”. Just before Christmas I acquired another dog. Shepherd/Pit mix.I say acquired because people from town still haven’t figured out that its not cool to dump their animals in the country if they don’t want them! The first night they went crazy was New Year’s Eve. I kept trying to calm them but the last time I opened the door to deal with Francis, the neighbor’s roosters were crowing…so I just gave up. The next night the Maremma (inside) had already decided that the guy was an overachiever and quit barking. One night Francis was all wound up over the neighbor’s dog. Finally I went to the door and called, ” Francis come here!” He immediately came to the porch and the response was beyond adorable. “Mommy I didn’t get him, but I scared him reeeeally good so I don’t think we’ll have to worry about him coming back!” I thanked him for his job, he walked up onto the porch, laid down on his bed and slept for the rest of the night! I do the same thing with my German Shepherd and Aussie. They are both guard dogs and big barkers. I just tell them what a good job they have done and they quit. It works for us also. My two Pyrs are suppose to be bonding with my horse, but they are scared of her…and when someone drives up to the house, they run and hide. Is this normal? They bark at the horse, but not people. I thought I was crazy for doing the thank you to quiet Maggie. But it works far better than no stop it OK. I don’t want discourage her from alerting me and I stumbled on the thank you about 3 yrs ago. I work at home during daytime and she understand working. No barks. I don’t know how but she does not bark now at all when I’m working. They are such a great bread. I love this idea! I’m going to give it a shot. Our Amelia barks all the time. At everything. We were so desperate we had thought of the bark collar. But we just couldn’t do it. We are going to try this! Thank you! 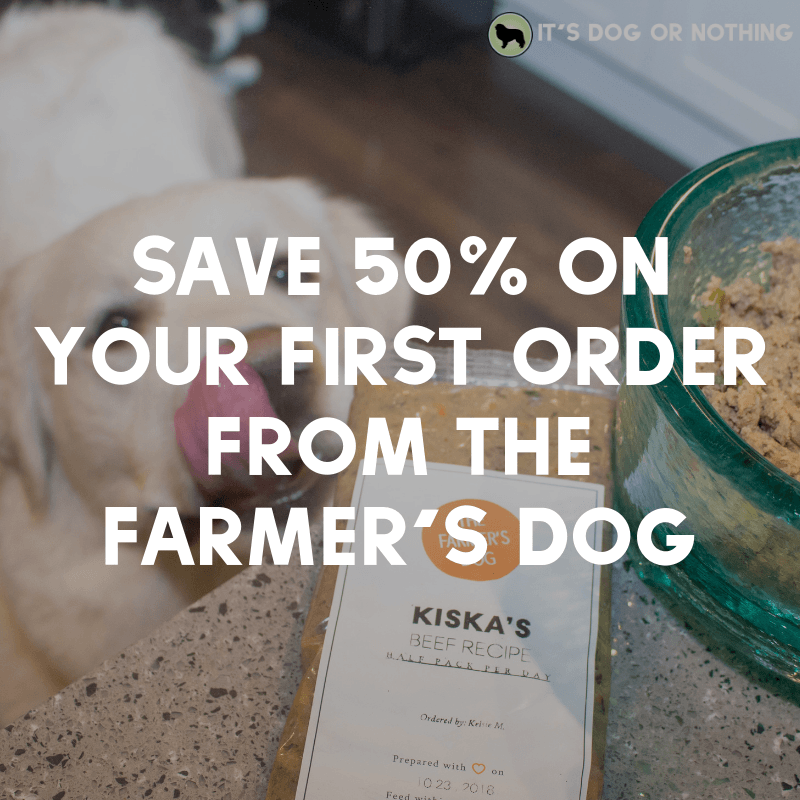 I have a great pyr mix (about 1/4 pyr) and I will DEFINITELY be trying this…. Thank you for this article and site! 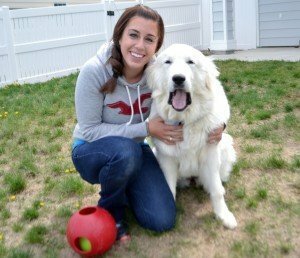 – I adopted a 4-year old Pyr about a week ago. He’s been wonderful so far except some barking at night. It seems that some nights he’s totally silent and other’s he has short barking spells. I have tried shutting all the windows/blinds and turning on a fan for background noise, but he still seems to occasionally find something. Do you recommend the “thank you, it’s okay now” method even in the middle of the night? I don’t want him to think that the way to get my attention (and petting) whenever he wants is to bark, but I also don’t know if letting him “bark it out” is a worthwhile method. Thank you for this! I just got my Great Dane/Chesapeake Bay Retriever’s DNA back and found out that he’s a Chessie/Pyr mix! This explains a lot, and will definitely help with the barking. He finally realized that the leaves falling from the trees aren’t trying to harm us, but he’s still suspicious of the evil deer in the neighborhood who are clearly out to kill us all!